Let 2010 Be The Year You Get Financially Fit!! What is on the top of your New Years Resolution List? Get in better shape? Get organized? Make more time for friends and family? How about taking charge of your finances? LEARNVEST can make it all easy, fun and best of all, it is FREE! LEARNVEST is a new start-up company I am thrilled to be a part of because I am passionate about girls and women, well everyone, becoming financially literate. The site is full of GREAT content and you can sign up for the LEARNVEST DAILY to get financial tips delivered to your inbox. Sign up for the 2010 Financial Bootcamp and you will have a month’s full of coaching about everything you need to know about your finances. Give this gift to your friends and do it together. 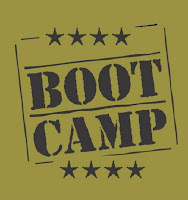 Please forward the link, tweet and help us make this bootcamp a movement! Money is a resource that we cannot affford to waste. Let’s get smart about it, improve our lives, and change the world! HEY. WHAT ABOUT US CANADIAN GIRLS,,,,EH!! Your mentors and former colleagues created global financial disaster. Your collective legacy is national debt over $1Trillion. Will you teach your followers to legally reduce, minimize or avoid taxes? Will you teach your followers to ignore the well documented history of the past 10 years? My experience and suggestions are available to help your students assess our shared future from a different perspective.